You are coming up as anon. Julie, WOW those are some very cool pictures. Thank you so much for sharing them. Take care, Bill — PS how are you doing today on that other issue? I wonder what they are all looking at. The white peacock must be in danger from predators. He is quite noisy so seems to be immune to predators – so far! I love these photos – particularly the first one. Is that Gutsy9? He’s looking very handsome. Yes last one is of Gutsy. I love that bird so much! Makes me smile almost every day! He still dances around and around with joy whenever he sees me! I just found out that a single feather is worth around $3 (once they fall out I mean). So we are gonna get rich, Cecilia! I love your Kupa. How is Chickpea? 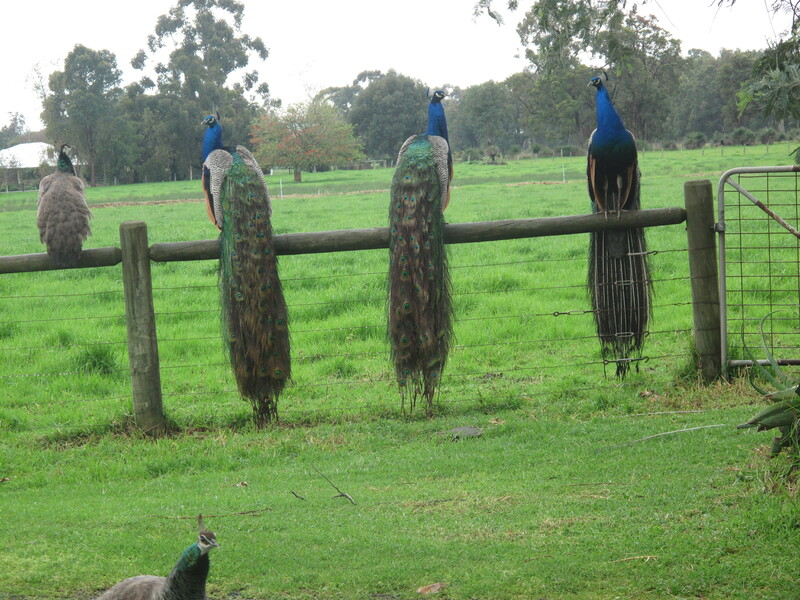 Believe it or not, I never have seen a photo of peacocks sitting with their tails hanging down – the photos are just wonderful! 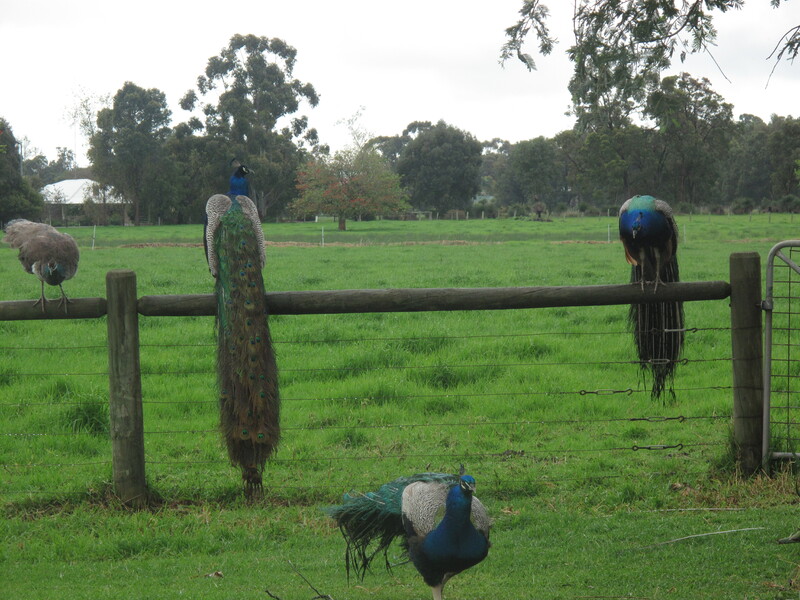 In their own way, they’re just as spectacular here as with the tails fanned out. Thanks! Their tails are like bridal trains! That’s it! I couldn’t quite pinpoint what they look like – but you nailed it. I’m late to the party again but I echo all the comments that come before mine – what awesome pictures!! I love them! What lovely photographs! Thank you. 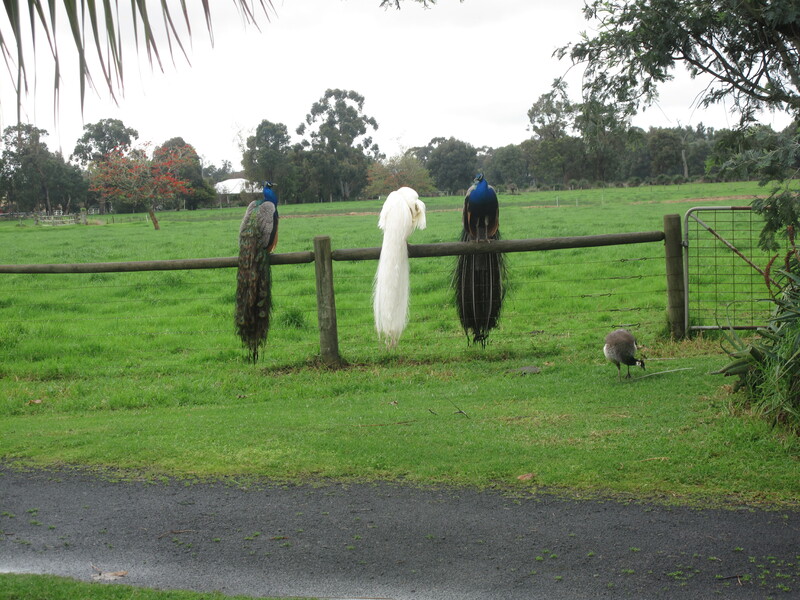 What is this, the welcoming committee for your guests as they come up the drive? Love this shot. and good to see Gutsy, too. 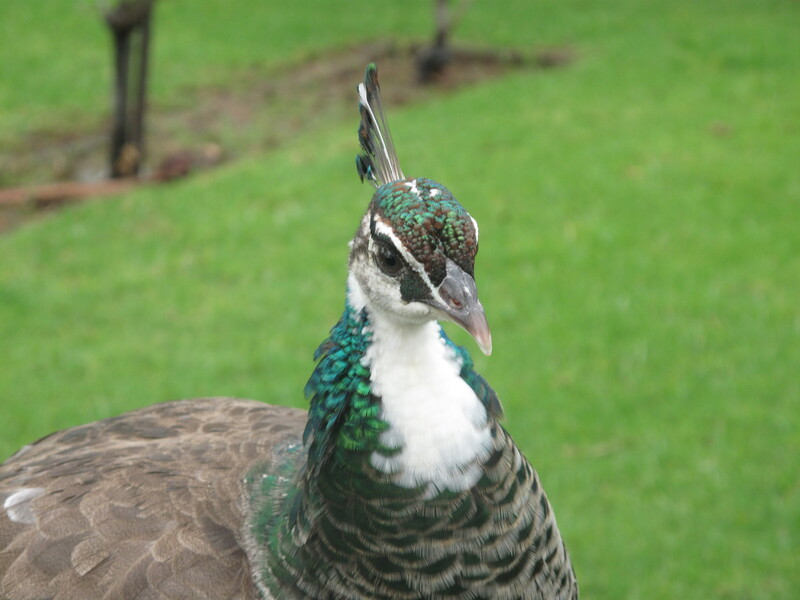 I love the sight and sound of peacocks (and peahens). What a great line-up, Julie. 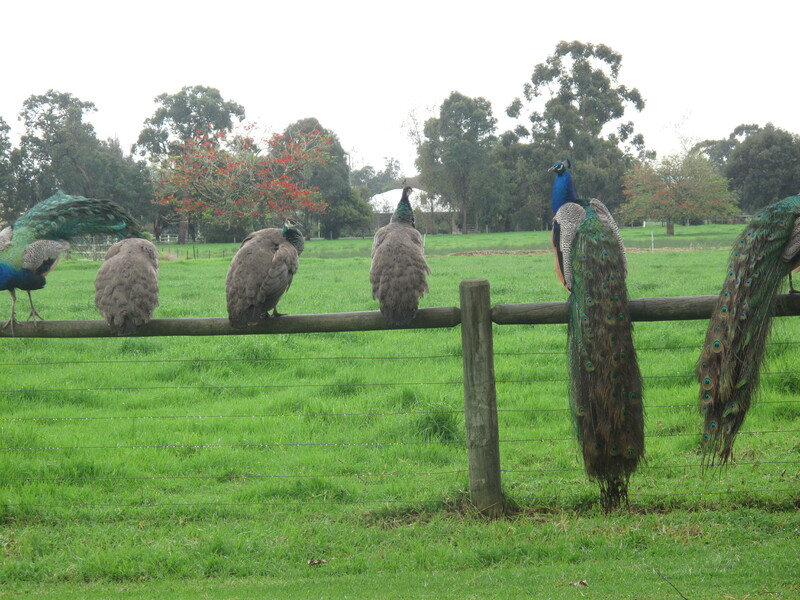 It must be one amazing sight to see so many peacocks on the fence at the one time. (and Gutsy is turning out to be one very good looking bird – he’s very photogenic – seems like only yesterday, he was one tiny fragile chick). What a parade …. you have some beautiful and stunning birds. How is Gusty doing by the way ??? Great photos, Julie … excellent captured. I never realized you had so many peacocks! Beautiful, Julie! Wow! Their tails are long. You don’t see that when they’re on the ground.